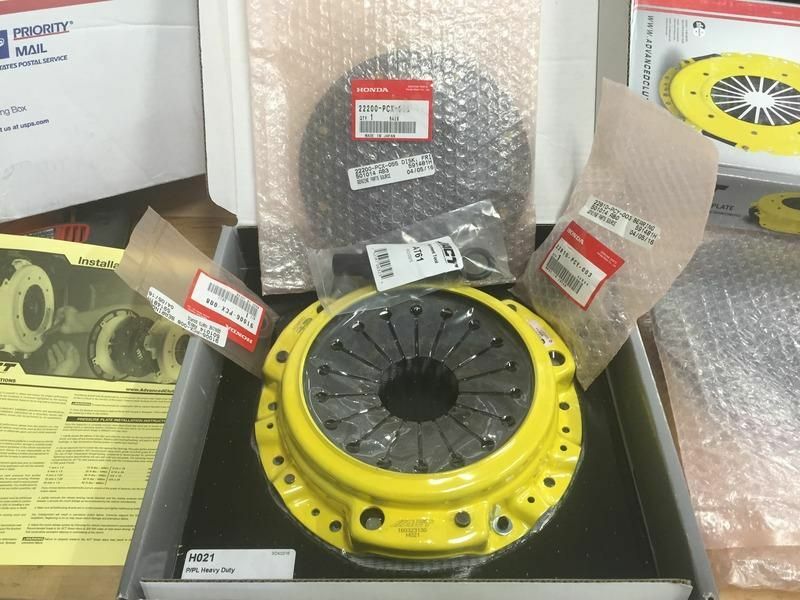 We now offer an ACT HD pressure plate and oem Honda clutch disc and bearings complete kit. $724.99 shipped within the continental U.S.
Last edited by Moddiction; 03-16-2018 at 07:22 AM. Can I get a quoted price shipped to V8V3H7 with the Prolite flywheel? Hey the quote you sent me was only with the pressure plate. I am looking for the entire PP/OEM combo with Prolite flywheel shipped to V8V3H7 Victoria, BC, Canada. Can this be ordered with a Prolite flywheel instead?